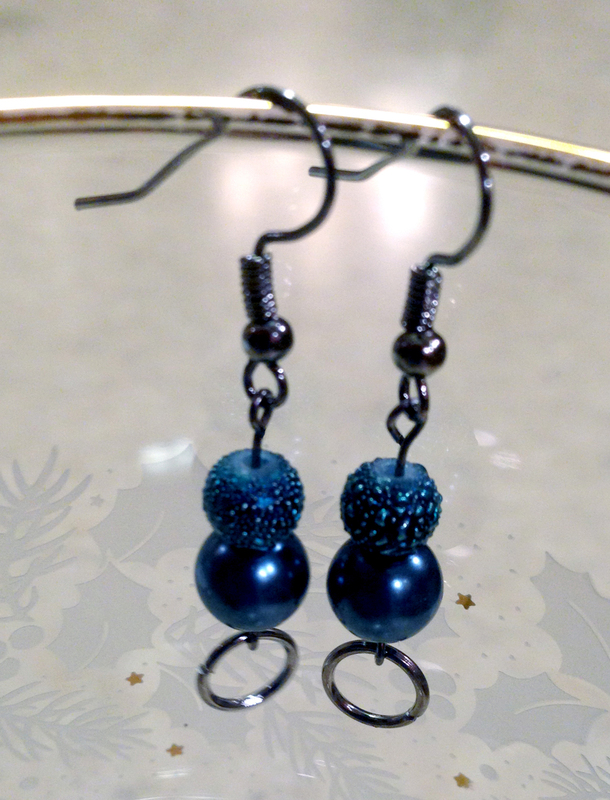 Jillian, my youngest, started making earrings years ago when she was in highschool. Then April, my oldest started making them just a few years ago to sell on etsy and at craft shows. Not wanting to be left behind, I began making them as well and now I am totally addicted! I recently made about 240 pair of earrings over a four day period. Anyone want to count them and tell me how many there actually are? You can see I'm missing a couple pair – I had my mom pick out some that she would like for Christmas. When I say this DIY project is easy, I mean E.A.S.Y. I know, I know, I'm always saying these projects are easy, but if you know me, you would know I wouldn't do a project like this if it was difficult…or messy…or intricate. When I taught school, I was known as the teacher that wouldn't do messy art projects. Though, I did surprise my coworkers one year when my students and I created a full size fully decorated copy of King Tut's sarcophagus out of plaster, paint and jewels. But that definitely was the exception to my rule. I just don't like hard or messy. But this dealy-o, the ease of which a pair of earrings or necklace can be made, really made me think. I have always been in awe of such things, thinking it was so special that someone could make such a thing. Until I did it. Now I'm not impressed. Well, not with the unknown person who makes the jewelry in stores anyway. But I am thoroughly impressed with myself. 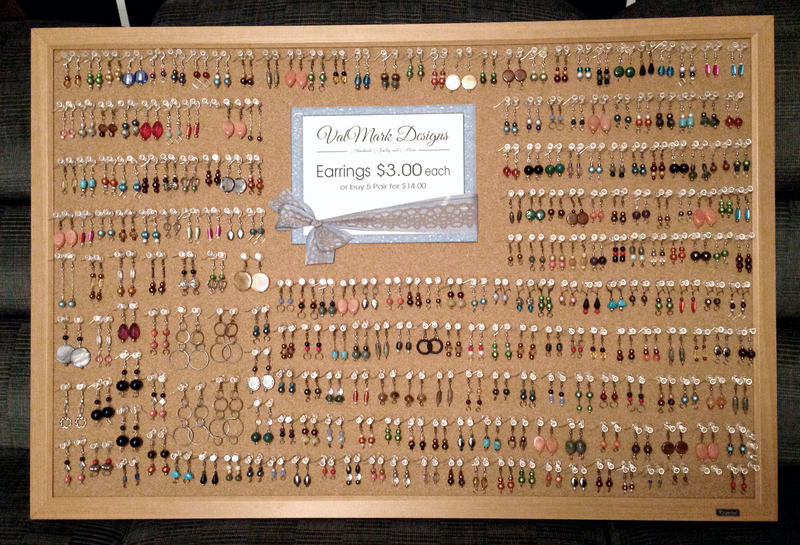 My jewelry is being sold in a little shop in Wausau – Owl Ridge General Store. I also sell at craft shows with my daughter, my next one being December 14th in a local highschool gym. If I sell out (I'm a frustrated optimist), I will have over $600 in my pocket. Not for long, but for at least an hour I will have over $600!!! I'm OK with not keeping it long. I've prayed God would supply the $$ for our bills, so this would be a great answer to that prayer. 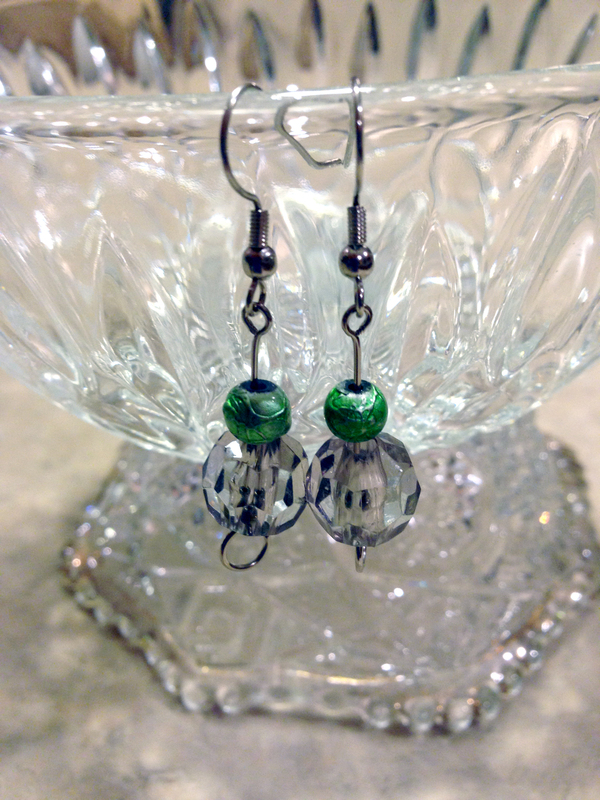 I was thinking some of you might like to learn how to make your own earrings. It's certainly cheaper than buying it in the store. Plus, it's fun and you can make jewelry specific to your outfits. And it doesn't hurt that all your friends will be in awe. I thought about making a video tutorial, but since there are already several out there, I'll just give you one from Youtube. The presenter is pretty good at showing the ins and outs and this fits my "easy" rule. No sense in reinventing the mousetrap when there is already one that works. Check it out. After you do, would you hop on over to my page on Facebook and Like it? Jewelry Armoire Update – OFMP & Modern Masters to the Rescue! Fall Floral Arrangement DIY Tutorial A Furniture Artisan and Videographer in the Making – 12 Year Old Isaac DIY French Photo Frame Tutorial – Re-purpose Old Picture Frames Part 4 DIY Canvas Tutorial Keeping Up With the Joneses – Making Progress!